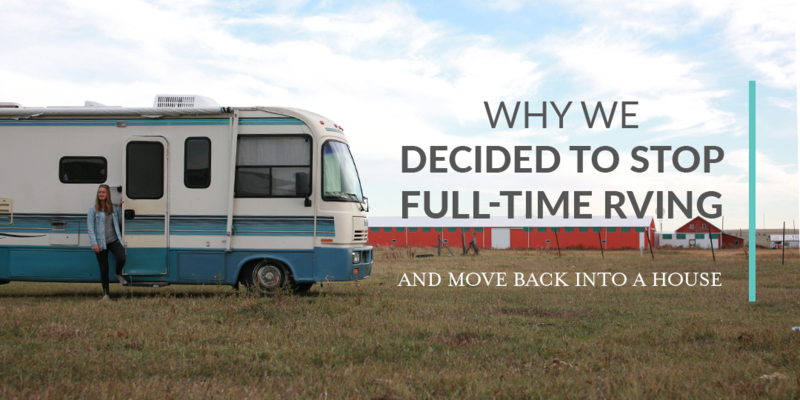 When we were planning our lives as full-time RVers, we were surprised to find so many great resources and blogs about planning and preparing for life on the road. In the last year, the full-time travel lifestyle has continued to grow, and you can take that leap with all the resources in hand. Even though, full disclaimer, things rarely go as planned and everyone’s journey looks a little different, there are at least plenty of resources out there and a community #fulltimeRVers to connect with. Transitioning from full-time travel back to being stationary… not so much. Let’s be honest, it’s a little less exciting and “post-worthy” than living on the road. As our full-time travel journey came to an end and transitioning back to being stationary began, we were kind of on our own in terms of navigating this transition. Before we dive into our “Transitioning Back to Stationary Life Tips,” here’s a bit of background on why we decided to “settle” back down. This was by no means an easy decision. If you’ve read about our initial plan, then you know we planned to be on the road for 7 months and return home for Thanksgiving. And that’s as far as we had planned. We’d figure it out from there. 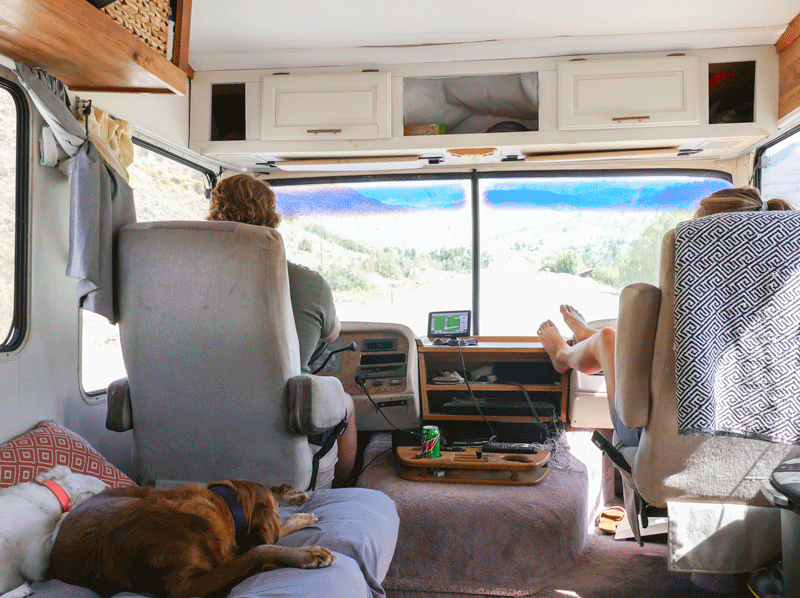 Before hitting the road, we had no idea if we’d love it or hate it or if we’d miss our friends and family or if we’d never want to be stationary again. Or if we’d find the most amazing place ever and never want to leave… I’m looking at you Bend, OR. So we decided this would be our life for 7 months, and we’d figure it out as we went. Well, about a month into full-time RVing, we were hooked. It was better than we could have imagined (it really is)! And we started to talk about what it would like to do this forever or at least the foreseeable future. I started planning routes for January and researching the best times to RV in Maine. We moved forward planning to stay on the road. Fast forward to October (we were planning to be home by Thanksgiving), and the pieces just weren’t coming together like we thought. Nothing dramatic; we were just not 100% confident in continuing to travel full-time. We were ready to be home and not moving every week or two for a little bit. 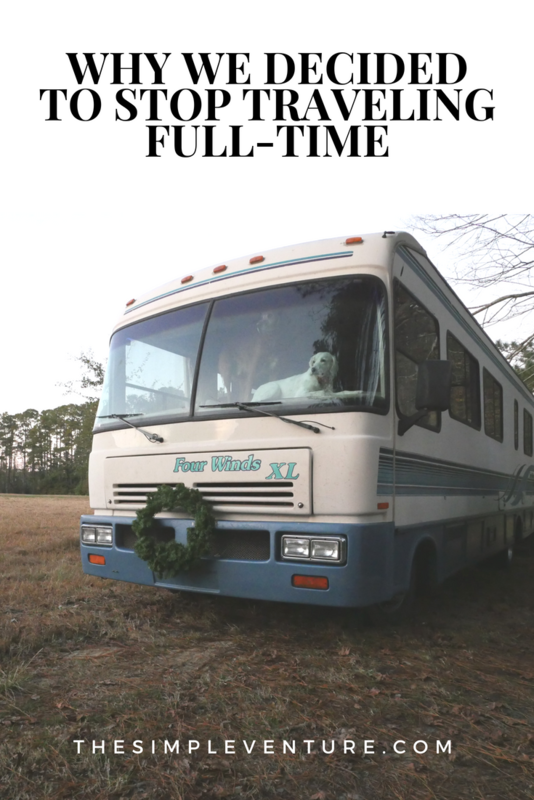 The RV needed to be parked and worked on; the dogs were a little restless; I could never get all the dog hair out of the RV; and work was picking up which meant less exploring but more money – which is a good thing – just a little less fun, if I’m being honest. We still loved (and do love) the lifestyle, we just needed some time at home to regroup, work on the RV while not living in it with 3 dogs, and spend some quality time with friends and family. So in November, we started the route home with no freaking clue what we were going to do… or even what we wanted to do. I felt a little stuck, but we decided by New Year’s we would make a decision. P.S. Our house was rented out until May, so if we decided to stay stationary that involved a lot of decisions like where to live (and what to live in). If we decided to keep traveling, we discussed upgrading the RV (we desperately wanted slides) or making the switch to a travel trailer. And of course, we’d need to plan a route and revisit our budget. We arrived home the week of Thanksgiving. The original plan was to stay with my parents through New Years, while we figured out our next move – head back out or stay put? BUT, surprise! 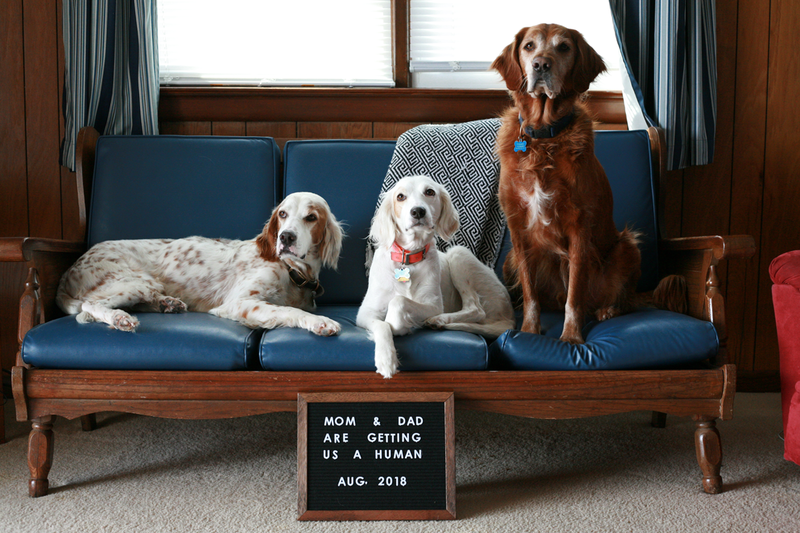 Mid-December, we found out our family of 2 humans and 3 dogs was going grow. Talk about a game changer. All the variables just got flip upside down. I went from ‘we could totally full-time RV with kids’ to ‘oh gosh! we need to be settled in our house for at least a little while.’ So decision made. We were waving goodbye to full-time travel, and hello to the craziest adventure of our lives – parenthood. January arrived, and we decided it didn’t make sense to pack up and move to a local RV park if we were going to move back into our house in May. Plus, the first trimester is rough, and we hadn’t fixed all the things we wanted to in the RV. Knowing we could move back into our house in May, we stayed with my parents a little while longer, and then we moved about an hour north to a family beach house in Topsail Island, NC. We lived oceanfront for a few months. 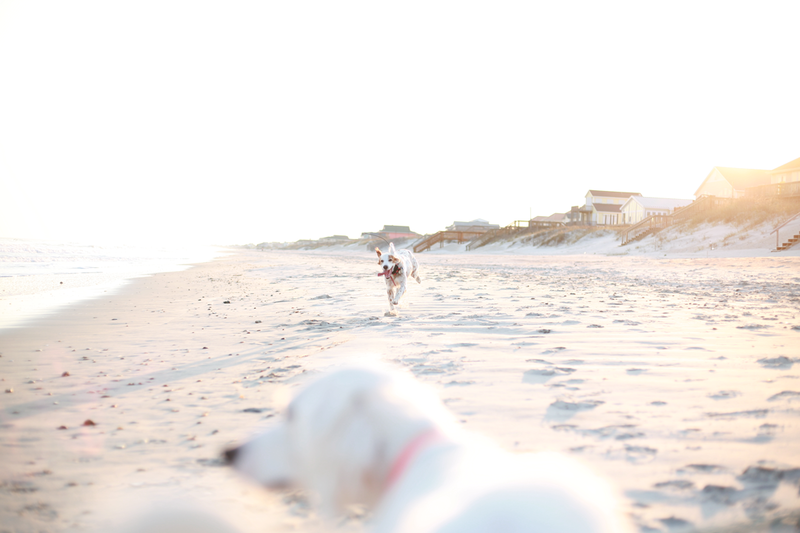 You can’t complain about waking up to the ocean, letting the dogs run on the beach, and being settled for a bit. Today. What is today?! Haha. We’re about to have this baby any day. We’ve moved into our house – all 1,700 sq feet of it. It feels huge compared to the RV! 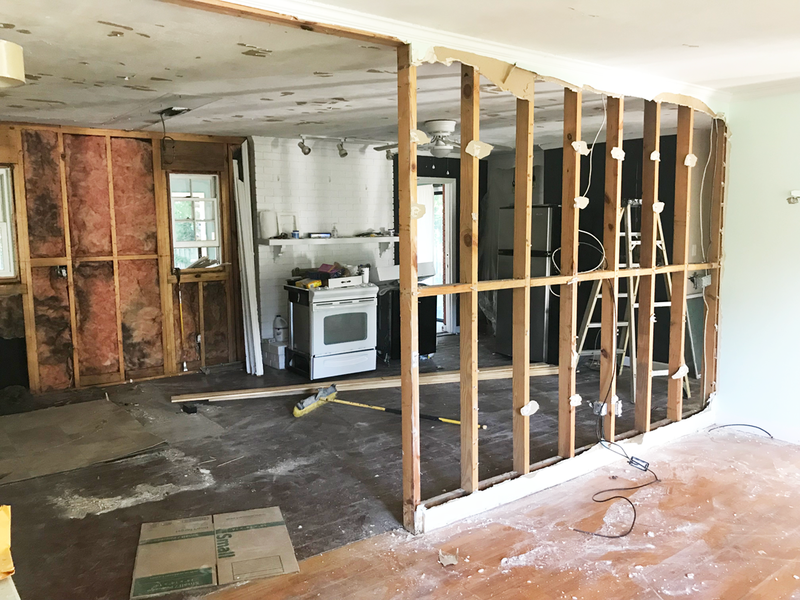 Oh, and before totally settling down, we decided to pretty much gut and renovate our entire house. Yay! My husband and I are just beginning to consider full time RVing in a Thor Axis. I came across your blog on Pinterest and read it because it was the reverse of what is usually out there. We live in Ocean Isle Beach just south of you by the way. Ocean Isle is awesome! 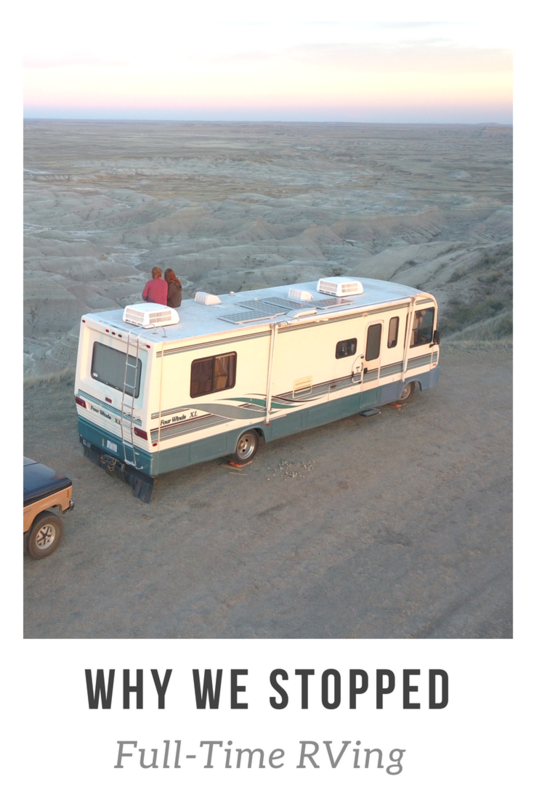 We loved our time RVing. I would say go for it! There are definitely things we missed and different challenges while being on the road full-time, but it’s worth it for the experiences you’ll make.